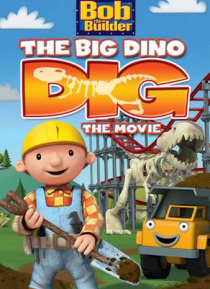 Grab your shovels and join the fun as Bob the Builder and his terrific team dig up ancient suprises in this all-new movie. A new truck named Rubble joins the Can-Do Crew to help build an enormous amusement park, but when things get difficult with seagulls and impossible lumps, it's up to the team to work together to finish the job, unearthing some prehistoric dinosaur bones along the way. Hold on … to your hard hat for a roller coaster ride of thrills, discovery and fun!